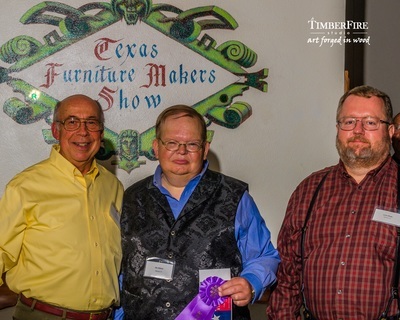 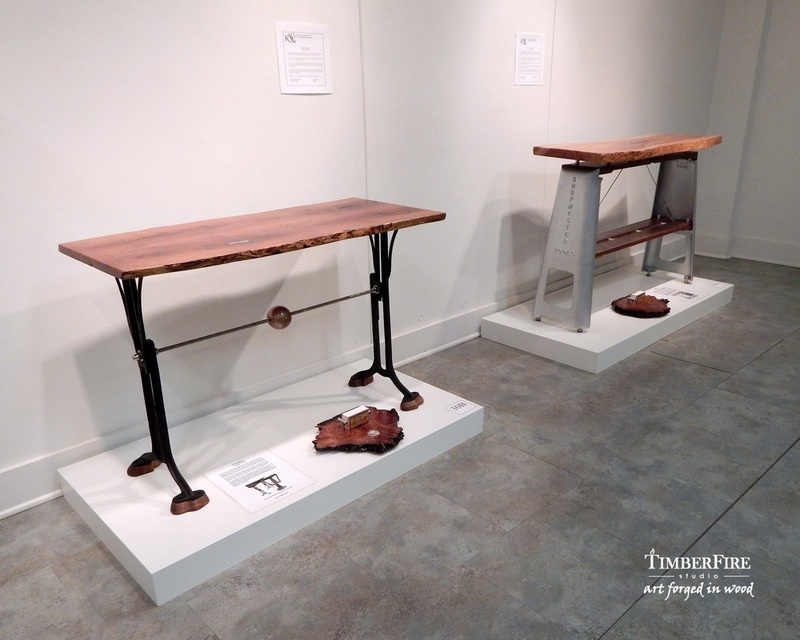 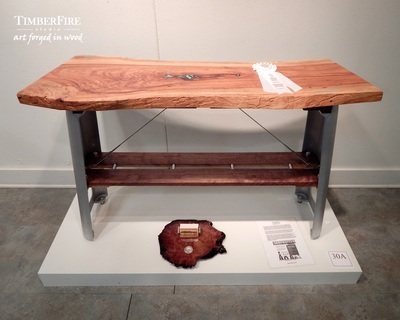 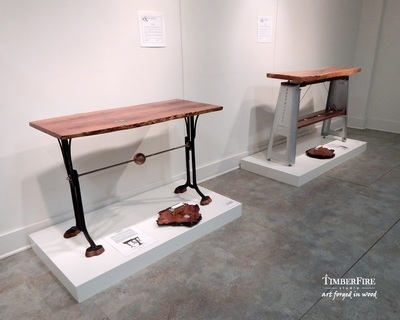 Joe Adams and Erich Elfeldt of TimberFire Studio were awarded ribbons for both of their original tables at the prestigious Texas Furniture Makers Show - 2015. They were first time entrants to the annual contest which attracts the best custom furniture makers in the state. 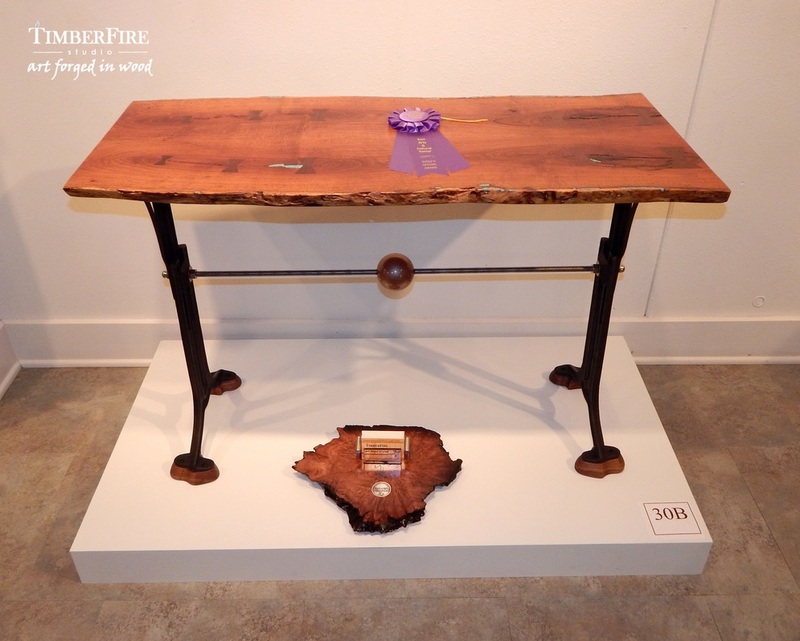 The juried exhibition is a statewide competition featuring handcrafted pieces and is sponsored by the Kerr Arts & Cultural Center in Kerrville, Texas. Only 50 to 60 pieces are chosen for exhibition each year from numerous entries. 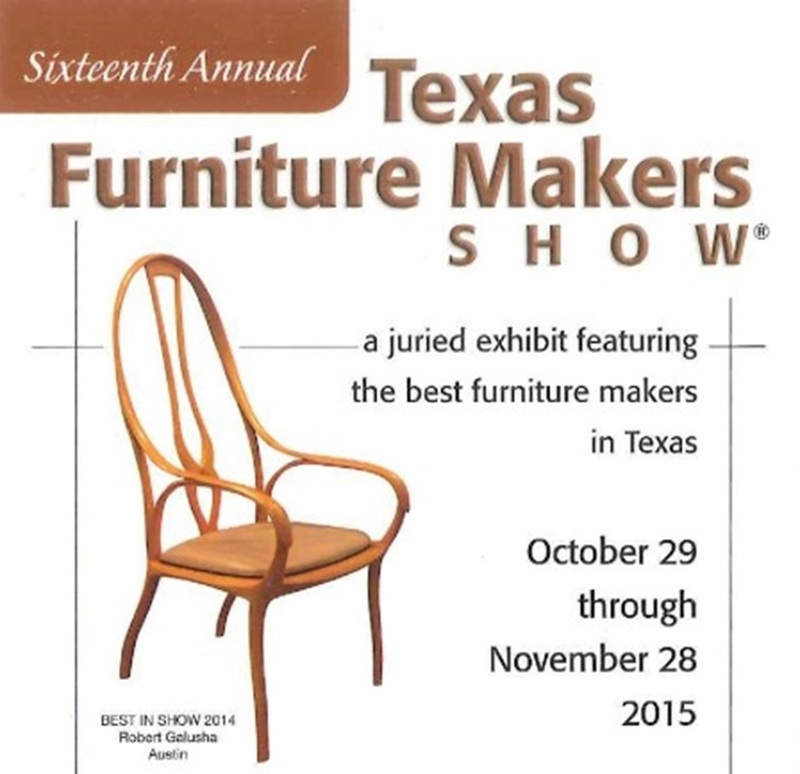 The purpose of the show is to present the work of Texas Furniture Makers to the public in a formal gallery setting and bring national attention to their one-of-a-kind handmade works of art. 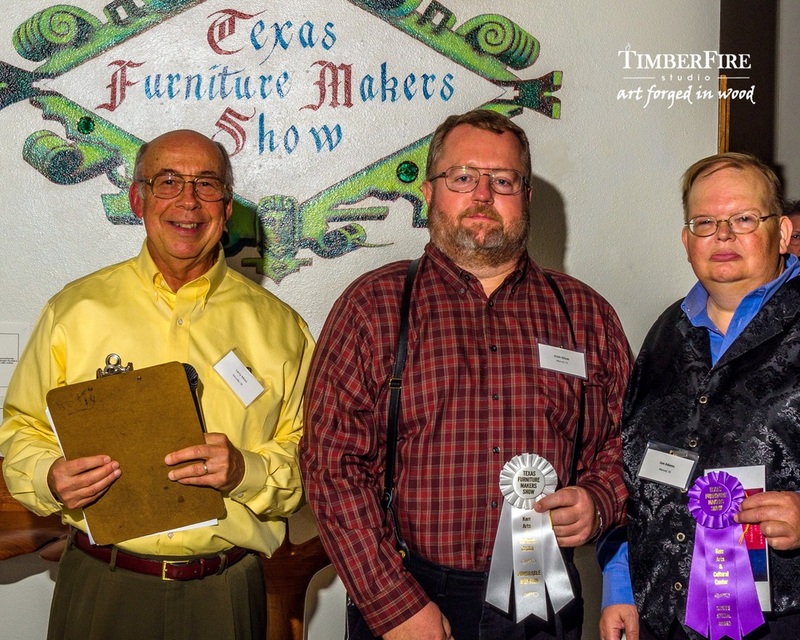 This year’s expert panel of judges included Brent Catterton (Catterton Woodworks) of Boerne, TX, Wendy Rosen (Artist Advocate & Producer of the American Made Show) of Baltimore, MD and famous whimsical furniture designer Judson Beaumont (Straight Line Designs Inc.) of Vancouver B.C. Canada.